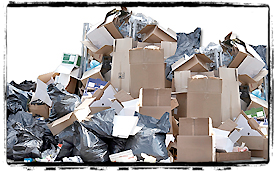 Our services are vast and many and can help you accomplish whatever Junk removal task you may need to get done. With our special services and daily general junk removal services, we never turn down any requests our customers might have of us. Keeping our customers happy and content is what keeps our business thriving. Our customers know that they can depend on us on any date to remove that junk. We service both the greater Los Angeles area and the San Fernando Valley as well. Check out the rest of our website and read up on some of our services. Contact us if you have any special requests or questions on a specific service. 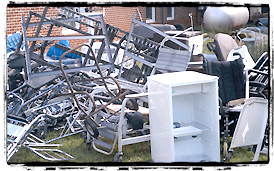 We remove furniture, yard debris, and remodeling debris. 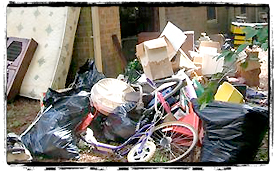 We remove all rubbish, furniture, appliances, construction debris, yard waste, garbage and junk of all kinds. These are some of the jobs we will do for you…fast, fair, and anywhere! We clean out basements, attics, garages, storefronts, warehouses, office buildings, apartments, condos, high rises, construction sites, and we even grade vacant land. Business and commercial buildings are a specialty for us. When you hire our local Junk Removal and Demolitions Specialist located in the Los Angeles and San Fernando Valley area.You can be assured that we will do a professional job. 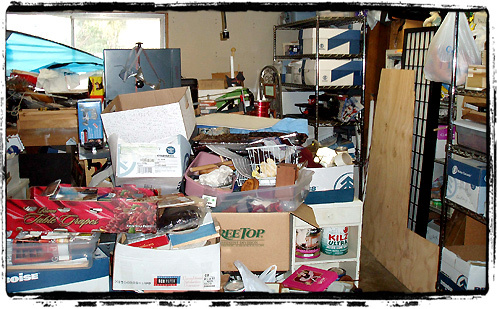 We will remove a lifetime of clutter from your home, or business in just a few hours or less. All of your unwanted junk will be RECYCLED if at all possible and we will make sure that whatever can be donated will. We clean a home or office that’s trashed out to move in ready, while being environmentally responsible.